The University of Michigan is located in the heart of Ann Arbor, MI. Ann Arbor is most easily accessible by US 23 or I-94, depending on which direction you are coming from. All of our events will be within the physics department, which is located in West Hall (WH) & Randall labs (the buildings are joined together). Registration will take place in front of WH 340 starting at 5 PM on Friday, February 21. All talks, meals, and the poster session will take place in or around WH 340. For all other events, you'll be escorted by a local SPS member. 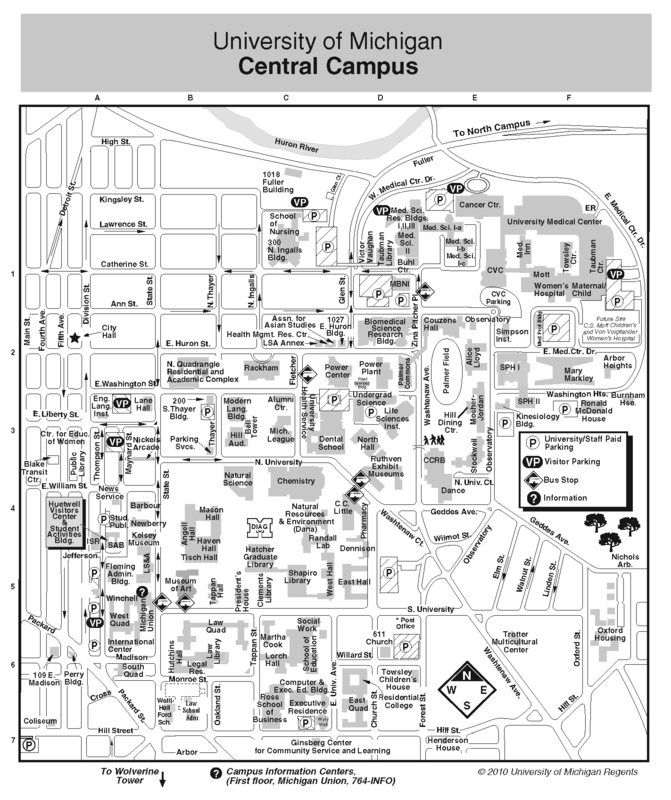 Campus maps can be found here. The parking venue has not yet been finalized. It will, however, be within walking distance of West Hall and Randall labs. Drivers will receive specific instructions on where to go before February 21st. Cost of parking should not exceed $5. We are working on free parking, but that will in part depend on how many cars we'll need to accommodate. Unfortunately, we will not have access to a large facility that can accommodate everyone in the same place. Our out of town guests will be split up into small groups along with local members around campus. Accommodations will be free of charge. It is recommended that you bring a sleeping bag or equivalent thereof for the night. An air mattress might also be a good idea to bring if you have one. Registration costs will be $10 per zone meeting participant. This will include dinner on Friday night as well as breakfast and lunch on Saturday. Please bring your registration payment, preferably in cash, when you check in. If you are arriving after dinner on Friday or leaving before lunch on Saturday, we'll adjust this price for you accordingly. If you would like to present a poster, please indicate so on the registration form. You'll be asked to submit a title and abstract when the meeting gets closer. If you would like to participate, there is no preparation you have to do ahead of time. The competition is meant to test how well you can think on the spot. All supplies will be provided to you.